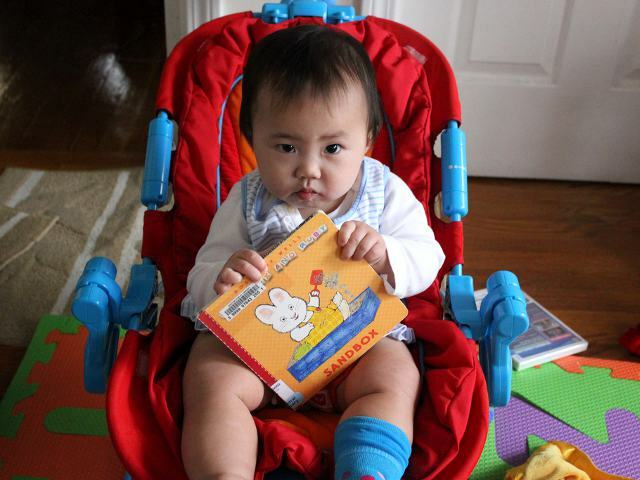 Arya has already read a long list of Curious George books. Curious George’s 1 to 10 and Back Again by H.A. Rey is a simple counting book constructed out of illustrations from H.A. Rey’s other Curious George books. Despite its basic premise, the book was able to hold Arya’s attention from cover to cover. Arya has consistently enjoyed looking at pictures of animals. The front cover of Baby, Where Are You by Mack shows a real picture of a polar bear alongside cartoon drawings of other animals. 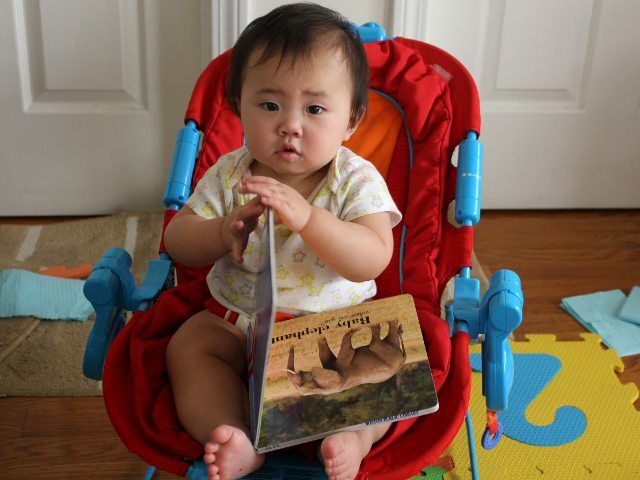 Pictures of animals and the book’s lift-the-flap feature made it an obvious choice to read to my baby. 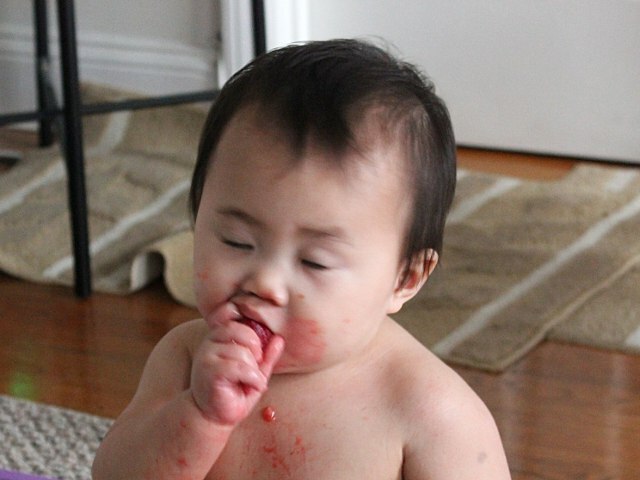 Now that Arya can eat lots of different foods we have more option when planning her 10-month old baby diet. As babies get older they require a diet more varied than just breast milk or formula. But since our baby still only has a few teeth, we have to make sure that she is able to handle new foods without being in danger of choking. 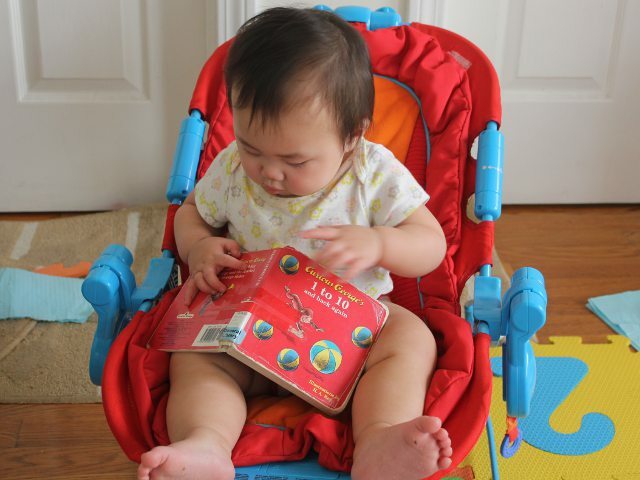 Arya likes small board books with colorful pictures. She enjoys holding the books herself and slapping at the pages with interesting images. 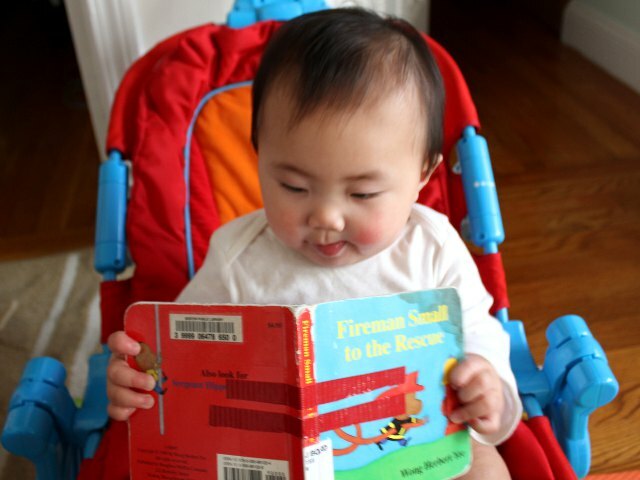 Fireman Small to the Rescue by Wong Herbert Yee was a good choice with brightly-colored pictures on every page. Arya has already seen Baby Max and Ruby Red Boots by Rosemary Wells and Max’s First Word by Rosemary Wells. Since she seemed to like those books, I thought she might enjoy another book by the same author. Baby Max and Ruby Sandbox by Rosemary Wells is a short book with a touch-and-feel element that makes it well suited for babies around Arya’s age. Arya is now at a strange age where she is too young to have a long attention span for reading books, but too old to be interested in pictures for very long. So the books I read to her must have only a few words on each page and enough colorful images to keep her interested throughout. 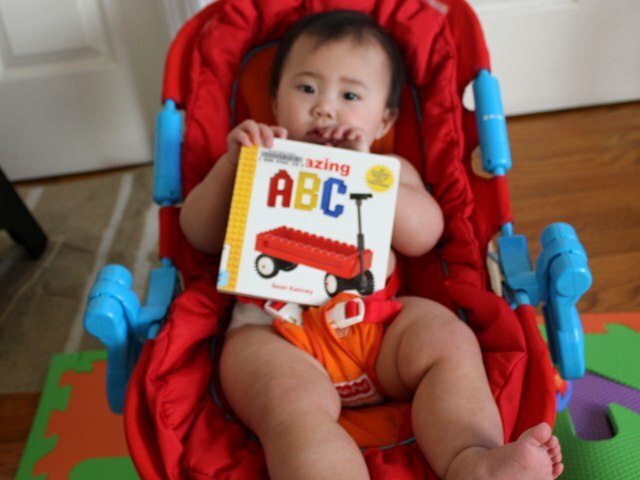 Amazing ABC by Sean Kenney is a great book to read to babies around Arya’s age.